The first in a new series of intimate music encounters with Topology. Kicking off the series at a beautiful mid-century modern home, audiences will enjoy a twisted trip down memory lane and be the first to hear some of the quintet’s most recent experiments. In the 1990s, Brisbane first came to know ARIA nominated Topology for their distinct flair in re-imagining popular music for strings, piano and saxophone. Performing in small bars, backyards and lounge rooms, Topology left no pop star “uncovered” with popular anthems stretched, twisted and tortured beyond recognition. 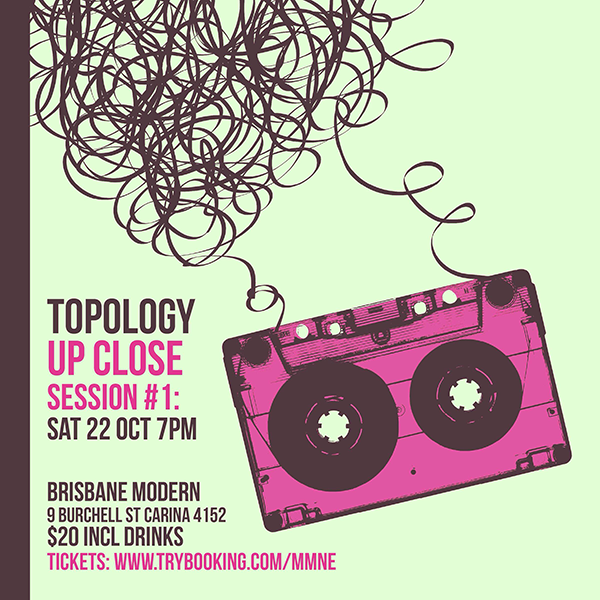 After extensive national touring, Topology is going back to their roots with a series of intimate performances – sifting through 20 years of repertoire, picking out the best bits and featuring some of their favourite works.